The importance of hiring a reliable removal company cannot be over-estimated. The stress of moving from London to Exeter is bad enough without having to worry if the removal firm you hired is going to turn up on time or if they do, whether they’re going to deliver your household contents safe and sound to your new home in Exeter. You need to know right from the very beginning that the removal firm you hired is reliable, trustworthy and completely professional. That’s why you should hire Moving Service. Not only are we the best removals company with the best service but we also have the best prices. Find out for yourself by calling 020 8746 4402 and here how amazingly low we have kept our prices when other removals firms have raised theirs. As well as being dependable and inexpensive, we have a range of other removal services which you’ll find incredibly helpful for your move from London to Exeter. We don’t just transport your goods efficiently and on time, we can help with all aspects of your house or office move to Exeter. For instance, we have our professional packers available so if you want all your items, or perhaps just those more fragile items, packed with expertise and skill then you know where to turn. Likewise, our storage space is a cut above the competition and yet our prices are the lowest around. You won’t find storage facilities as highly secure as ours anywhere in the country. This means for those items you have to leave behind in London, you can sleep easy knowing they’re completely safe when you move to Exeter. Exeter is the county town and historic city in the county of Devon. It lies on the River Exe around 37 miles northeast of Plymouth and has a population of approximately 120,000. Exeter has a compact city centre with many specialist boutique shops just a short walk from the more well-known major stores of the high street. Exeter is very accessible by bus, car or train. Exeter Central railway station is very convenient for the city centre while Exeter St David’s has services to further afield including London. 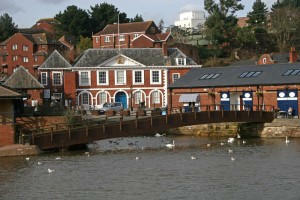 Exeter has a number of attractions, museums and theatres. It’s also home to the magnificent gothic St Peter’s Cathedral which dates back to the 14th century. The reason we can keep our prices so low is because you only pay for what you need. We specialise in transporting household items to Exeter as well as elsewhere which means we don’t need to spend extra as some other removal firms may do. 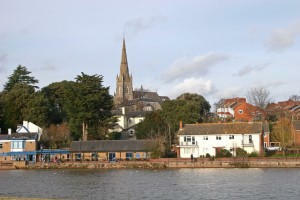 From London we have helped people move home time and again to Exeter. Your household contents really won’t be in safer hands than ours for your move to Devon. If it’s a man with a van to Exeter or a team of skilled removal men you need then we can supply it. Likewise if it’s a business removal to Exeter or an office removal to Exeter, we’re the removals carrier that delivers. All our staff are highly trained in every aspect of the removals business. When you hire us for your house move to Exeter, our whole operation moves into gear to make sure that every single thing is in place so your house move from London goes just as you want it to go. So why not call us now on 020 8746 4402 and hear our free, personalised quote which means when you’re moving from London to Exeter, you’ll be paying the lowest price whilst still getting the best removal service in the country.